News this week that Land Rover will be discontinuing their Defender model in 2015. The Defender was first introduced into the consumer market in 1983 as the Land Rover Ninety and the Land Rover One Ten, with the numbers representing the wheelbase in inches. It was also sold in North America between 1993 and 1997 until in 1998 US regulations were introduced requiring airbags for both front seat passengers as well as side door impact requirements. The Defender could not be fitted with these without major modifications and based on sales numbers it was not economically viable to continue their sale in the US and Canada. 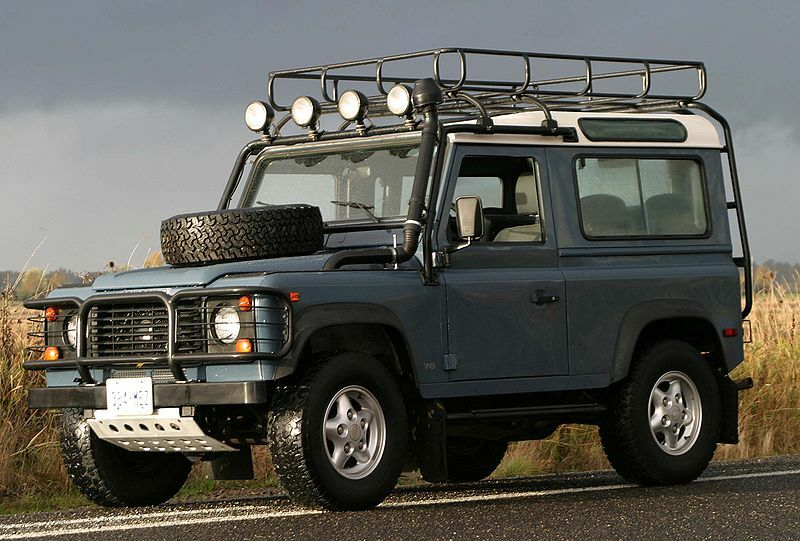 Despite not being sold in North America from 1998 onwards, the Defender was popular enough that enthusiasts found ways to bring them over from Europe. More stringent regulations, this time in European relating to fuel efficiency, also appear to be one of the reasons why the Defender will be discontinued. In addition, recent sales of the Defender have been lagging with only 561 sold in the first eight months of the year. A replacement to the Defender is reportedly in the works, but won’t be available for some time. This entry was posted in News and tagged Defender, Defender discontinued, Land Rover by northredline. Bookmark the permalink. Very sad news…I love those trucks….